From 16 to 18 April 2018, the following meetings took place in Geneva (Switzerland): PIC/S Committee and PIC/S Executive Bureau. NEW PIC/S GUIDANCE ON GMP INSPECTION RELIANCE BASED ON DRAFT BY ICMRA WITH AIM TO MAXIMISE INSPECTION RESOURCES FOR GMP COMPLIANCE OF OVERSEAS FACILITIES. REVISION OF PIC/S GMP GUIDE (PE 009). CHAPTERS 3, 5 AND 8 OF THE PIC/S GMP GUIDE HAVE BEEN REVISED AND WILL ENTER INTO FORCE ON 1 JULY 2018; ALONG WITH ADOPTION OF TRANSPOSITION FOR PIC/S PURPOSES OF EU GUIDANCES ON GMP EXICIPENT RISK ASSESSMENT, EXPOSURE LIMITS AND GDP FOR API. NEW PIC/S WORKING GROUP ESTABLISHED WITH W.H.O. TO REVISE ANNEX 2 ON BIOLOGICALS AND ATMP. FOCUSED STAKEHOLDER CONSULTATION FOR DRAFT PIC/S GUIDANCE ON DATA INTEGRITY. NEW PIC/S AIDE-MEMOIRE ON CROSS-CONTAMINATION IN SHARED FACILITIES. NEW PIC/S PRE-ACCESSION APPLICATION RECEIVED FROM PAKISTAN / DRAP. NEW PIC/S WORKING GROUPS TO BE ESTABLISHED ON WHISTLE-BLOWERS/CONFIDENTIAL INFORMANTS; QUALITY DEFECTS PROCEDURES; AS WELL AS PIC/S ASSESSMENT AND RE-ASSESSMENT PROCEDURES. PIC/S 2018 SEMINAR TO BE HOSTED BY US FDA IN CHICAGO AND OTHER NEWS IN THE FIELD OF TRAINING FOR GM(D)P INSPECTORS. The PIC/S Committee adopted a new guidance on GMP inspection reliance based on a draft by the International Coalition of Medicines Regulatory Authorities (ICMRA) GMP Inspection Reliance Framework. This guidance provides a tool and framework which aims to help Competent Authorities (CA) prioritise resources for GMP inspections for human and veterinary medicines. The demand for inspecting pharmaceutical manufacturing facilities far exceeds what any one CA can accomplish and this framework will assist regulators in managing product quality risks posed by the increasingly complex pharmaceuticals global supply chain. The main feature of this new guidance is that it outlines a process for desk-top assessment of GMP compliance of overseas facilities to identify instances where an acceptable level of GMP compliance can be confirmed and assured from the activities of another CA or CAs without the need for an on-site inspection. It is a non-binding (i.e. applicable on a voluntary basis) high-level guidance for ICMRA and PIC/S Participating Authorities (PA) alike, whose purpose is to facilitate this assessment process. It does not supersede country / regional guidance, procedures or legislation where they exist. It is compatible with the PIC Scheme, which already provides for sharing of GMP-related information between PIC/S PA, on a voluntary basis, subject to national law, supranational law and other legally binding agreements such as Mutual Recognition Agreements (MRA). The details of the process will vary as CAs are invited to use this framework to establish their own procedures, at national level, containing details of the assessment process. The procedure should include the information that is needed to make an informed regulatory decision about site compliance, triggers and risk factors that would result in an inspection being required, and how the assessment and outcome should be recorded. 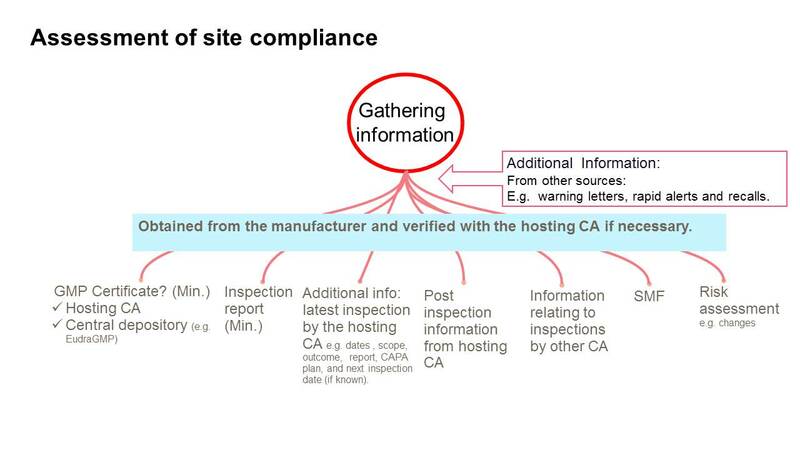 The aim in assessing the gathered information is to gain assurance that GMP compliance has been established by the hosting CA and that there are no other new evidence that would warrant an on-site inspection by the requesting CA. The adoption by PIC/S of this new guidance highlights efforts undertaken by PIC/S in improving sharing of information between authorities. These efforts include the PIC/S list of foreign inspections, which for 2018 contains more than 900 scheduled foreign inspections so far. For any possibly duplicate inspections, PIC/S PA are encouraged to either perform a joint inspection or rely on the inspection report from a PIC/S PA (or Partner Organisation). The new guidance on GMP reliance, supplemented by national procedures detailing local processes, can hopefully further enhance these efforts as well as help Inspectorates to make optimal use of inspection resources. Essential to its success and implementation will be the political will and support of ICMRA Heads of Agencies and other concerned networks of Heads of Agencies (such as the EU/EEA HMA). A survey on acceptance of same scope inspections conducted in 2016 with all PIC/S PA showed that most PA do not rely on available GMP information unless it is in the framework of a MRA or equivalent (e.g. EU Member States). Also crucial will be the support of industry as it will be up to companies to proactively share reports if they wish to avoid duplicate inspections. The revision has been successfully completed by the PIC/S Sub-Committee on the Harmonisation of GM(D)P, led by Paul Gustafson (Canada / RORB). The revised GMP Guide (PE 009-14) will enter into force on 1 July 2018. All non-EU/EEA Participating Authorities of PIC/S (and Applicants) have been invited to transpose the revised Chapters of the PIC/S GMP Guide into their own GMP Guides. The revised GMP Guide (PE 009) will be published on the page “Publications” prior to its entry into force. NEW PIC/S WORKING GROUP ESTABLISHED WITH W.H.O. areas of GMP applicable to ATMP that may benefit from modernisation to reflect the current status of the manufacturing processes and manufacturing settings. The objective is to advance a recommendation to the PIC/S Committee on a strategy to harmonise where possible with the EC guidelines while addressing the perceived concerns raised by PIC/S Participating Authorities which have led to international divergence in this field (see News of 2 March and 25 April 2017). 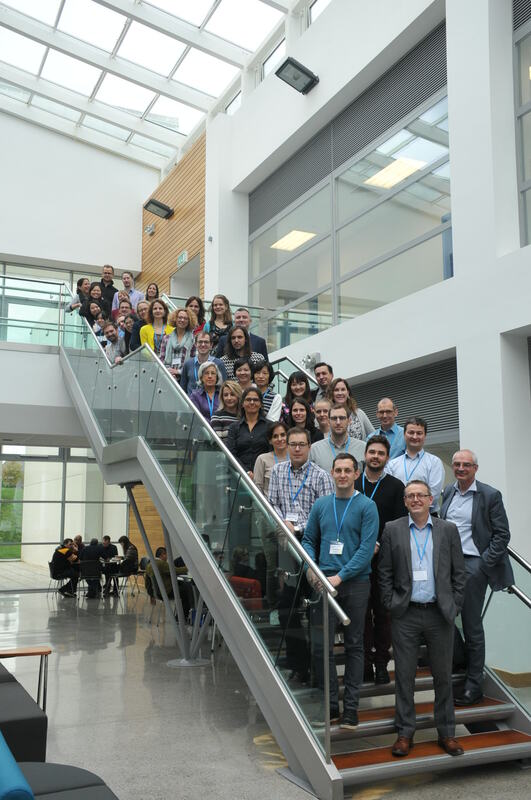 The PIC/S Working Group on Data Integrity, co-led by Australia / TGA and UK / MHRA, has revised the Draft PIC/S Guidance on Good Practices for Data Management and Integrity in Regulated GMP/GDP Environments. The purpose of the guidance is to serve to outline the position an inspector would adopt during the inspection of GDP/GMP facilities and is designed to facilitate a harmonised approach to the inspection, including reporting in regards to data management and integrity. A first draft (PI 041-1 (Draft 2)) was published by PIC/S on a trial basis in August 2016. Following feedback received from PIC/S Participating Authorities during its 6-month implementation trial-period, the draft of this guidance has been updated and expanded by the Working Group. The Committee agreed to a focused stakeholder consultation seeking substantive comments from trade and professional associations, during which the new draft will be applied by PIC/S Participating Authorities on a trial basis for a new implementation trial period. Other PIC/S-internal data integrity tools have also been developed by this Working Group which is currently developing training material as well as assessing other external guidances which could be made available to PIC/S inspectors via the PIC/S Inspectorates Academy in order to assist inspectors in understanding both strengths and limitations of these documents, thereby facilitating more targeted and risk-based data integrity inspections. Q. Why has this new revised draft been published on a further trial basis? A. In light of the widespread interest from industry to the first PIC/S draft guidance published in August 2016, the PIC/S Sub-Committee on Harmonisation has supported a proposal for a focused external stakeholder consultation on the updated version. In order for this new version to be available to PIC/S Participating Authorities without unnecessary delay, agreement of the PIC/S Committee was sought to publish this revised draft on a further trial basis, while the external consultation is held in parallel. A final version will be prepared following review of any consultation comments received through the focused stakeholder consultation, and submitted to the PIC/S Committee for formal adoption. Q. What are the other PIC/S-internal data integrity tools under development? A. The Working Group has developed an Aide Memoire - which provides a useful reference for inspectors, including key questions to ask, expectations and references to both the PIC/S guidance on data integrity and GMP/GDP clauses – as well as a flow-chart to assist inspectors in prioritising which systems should be reviewed for good data management practices during an inspection and system-specific guidance. The Working Group is also developing training materials for Inspectorates to improve understanding and assist in harmonisation of Inspectorates' approaches to Data Management and Integrity. Due to the nature of their content, these documents are not intended for wider dissemination outside PIC/S Inspectorates. 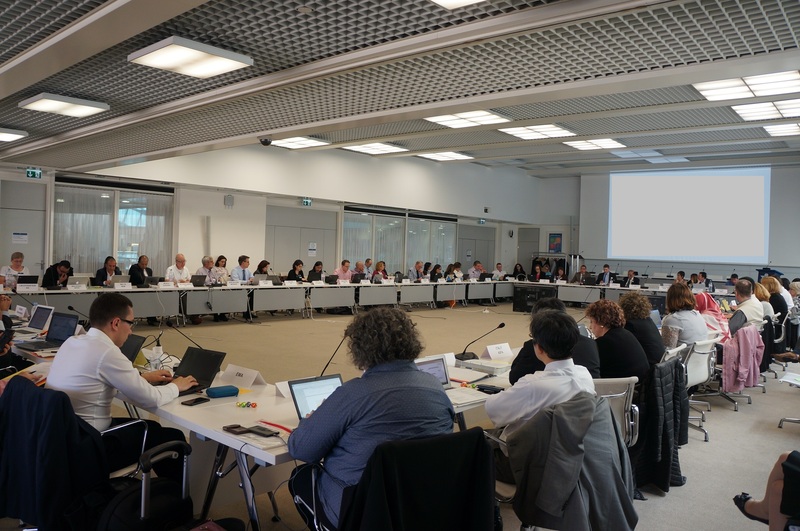 The PIC/S Committee adopted an Aide-Memoire on Cross-Contamination in Shared Facilities developed by the PIC/S Working Group on Controlling Cross-Contamination in Shared Facilities (CCCISF), led by UK / MHRA. The purpose of this Aide-Memoire is to assist GMP inspectors in the assessment of the risks to the product from cross-contamination in shared facilities. This document, which will enter into force on 1 July 2018, provides guidance for GMP inspectors to use in preparation for, and performance of, inspections. general organisational controls such as campaign organisation, equipment cleaning and inspection, cleaning validation and verification, and personnel. The Aide-Memoire (PI 043-1) will be published on the page “Publications” prior to its entry into force. The new PIC/S Expert Circle on Controlling Cross-Contamination in Shared Facilities, led by UK / MHRA, is also developing a PIC/S training programme in this field for which a first PIC/S Expert Circle meeting and training event is planned for summer 2019 in Taipei, to be hosted by Chinese Taipei / TFDA. Guidelines on the principles of Good Distribution Practice for active substances for medicinal products for human use (PI 047-1). Transposition of these Guidelines further strengthens harmonisation between PIC/S and the EU and are in essence equivalent with some minor editorial differences. The Guideline on setting health based exposure limits for use in risk identification in the manufacture of different medicinal products in shared facilities is also closely linked to revised Chapter 5 of the PIC/S GMP Guide. These Guidelines will enter into force on 1 July 2018, on a voluntary basis for non-EU/EEA PIC/S Participating Authorities. The Guidelines (PI 045-1; 046-1; 047-1) will be published on the page “Publications” prior to their entry force. (in alphabetical order, starting with Applicants and then Pre-Applicants). The Committee was updated on progress in the assessment by the Rapporteur of the pre-accession applications of the Russian Federation / Minpromtorg Russia and FSI "SID&GP", lodged on 28 August 2017 and of Saudi Arabia / SFDA, lodged on 31 July 2017. The Committee was updated on the outcome of a survey carried out by France / ANSES-ANMV and UK / VMD with regard to the need to maintain and implement a PIC/S Working Group on Veterinary Medicinal Products (VMP). 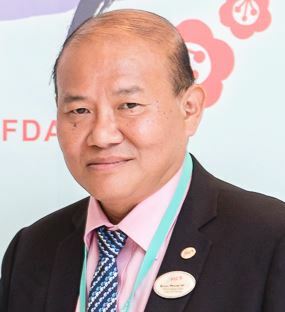 The purpose of this Working Group is to take better into account the needs and questions related to GMP for VMPs and aims to address the specific needs of veterinary Agencies (currently 3 PIC/S PA) as well as veterinary departments of Agencies with mixed competencies (currently more than 20 PIC/S PA). The World Organisation for Animal Health (OIE), which also deals with GMP for VMPs, was invited to attend as special Guest this Committee meeting in the perspective of potential future co-operation between PIC/S and OIE. The Committee agreed in principle on the establishment of a number of new PIC/S Working Groups. A dedicated PIC/S Working Group will be established in connection with the revision of the EU Procedures for Handling of Rapid Alerts Arising from Quality Defects & Managing Reports of Suspected Quality Defects and of their possible transposition by PIC/S. A Working Group on Whistle-Blowers / Confidential Informants will be created under the co-leadership of US FDA and UK / MHRA with a view to respond to the need for guidance on how to handle information provided by such sources, as identified during the PIC/S 2016 Seminar on “Inspectorates of the Future” hosted by UK / MHRA. In order to develop further guidance and updates to the PIC/S assessment and re-assessement procedures, which ensure equivalency between all PIC/S Participating Authorities, as well as to improve the PIC/S pre-accession process, two new Working Groups internal to the PIC/S Sub-Committee on Compliance will be established. PIC/S Executive Bureau 2018-2019 (from left to right): Jacques Morénas (France / ANSM); Mark Birse (UK / MHRA); Susan Laska (US FDA); Paul Gustafson (Canada / RORB); Boon Meow Hoe, PIC/S Chairman (Singapore / HSA); Andreas Krassnigg (Austria / AGES); Anne Hayes, PIC/S Deputy Chairperson (Ireland / HPRA); Ger Jan van Ringen (Netherlands / IGJ); Paul Hargreaves (UK / MHRA). was updated on the status of the guideline and interpretation of the Audit Checklist by the PIC/S Sub-Committee on Compliance, in co-operation with the EU Joint Audit Programme Compliance Group. Training Competent Authorities and in particular, training Inspectors, is an integral and key activity of PIC/S. The training of GMP Inspectors has been one of PIC/S’ main focal points since the very beginning back in 1971. Through this emphasis on training, PIC/S is able to achieve its mission. Seminars are the main yearly PIC/S training event and are hosted each year by a different PIC/S Participating Authority. Each Seminar focuses on a particular aspect of GMP with the aim of providing training and harmonisation in the field covered. The Committee was updated on the programme of the 2018 PIC/S Annual Seminar on “Management of Risk through the Product Life-Cycle”, which will be hosted by the US Food and Drug Administration (US FDA) in Chicago on 26-28 September 2018. Registrations to the PIC/S Seminar 2018 are now open here (for Medicines Regulatory Authorities only). The Committee also discussed preparations for the 2019 PIC/S Annual Seminar which will be hosted by Japan / PMDA & MHLW in Toyama city (Japan) on 13-15 November 2019 on the topic of "Quality Assurance of Sterile Medicinal Products - Annex 1". PIC/S training is unique as there is no other international training forum run jointly by regulators for regulators. Its high quality training has been developed progressively through a variety of training and harmonisation tools which have proved effective, presently regrouped under the PIC/S Inspectorates’ Academy. The PIC/S Committee discussed future training priorities for PIC/S in particular whether fields should be explored where PIC/S is the only Organisation with the appropriate expertise and added value (e.g. inspection methodology). These areas of focus should take precedence over purely technical topics for which other training offers exist by external stakeholders. These priorities will guide the next stages of development of the PIC/S Inspectorates’ Academy. The Academy presently offers about 500 training materials and more than 200 videos compiled from PIC/S training events. A number of e-learning modules such as webinars, on-line learning tools and modules, a training curriculum, forum and library of relevant GMP references are in development. The Committee was updated on progress in these areas and – with regard to engagement with external stakeholders on more technical topics – agreed to a pilot on e-learning modules with ISPE. Possibilities of co-operation with other external stakeholders (e.g. PDA, IFPMA, ICH) will equally be pursued. The Committee also discussed strengthening co-operation in training activities with the European Medicines Agency (EMA). The outcome of the PIC/S – HPRA New Inspector Training Course which was held in Dublin (Ireland) on 23-27 October 2017 hosted by Ireland / HPRA was reviewed. This was the 6th course run by HPRA since the new GMP inspectors course was initiated and developed in 2011, including this time also the support of UK / MHRA and US FDA. This course has proved one of the most successful and sought after PIC/S training activities for new Inspectors. It offers them the opportunity to develop the inspection skills necessary to assess compliance of manufacturers against the PIC/S GMP Guide through presentations and case-studies. The programme comprises approx. 15 modules covering key GMP areas such as general inspection skills; inspection preparation; facility lay-out and design; supply chain; warehouse & dispensary; tablets, capsules & powders; liquids; creams & ointments; cleaning validation; utilities; autoclaves; garbing; asceptic manufacturing; microbiology laboratories; chemistry laboratories & QRM. 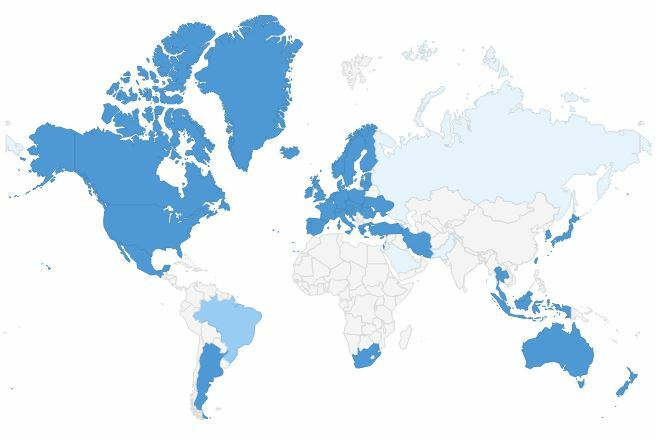 34 participants from 17 countries attended. In light of the importance and capacity building dimension of this training for new inspectors, this course has been institutionalised under the PIC/S Inspectorates’ Academy. It will be held at regular intervals; the next course has been scheduled by HPRA for April 2019 in Dublin. 26-30 November 2018: Japan / PMDA - ATC GMP Inspection Seminar, with the support of PIC/S, in Utsunomiya (Tochigi), Japan.